The Classic rooms, with an area of 40 m², boast beautiful views of the gardens. They are arranged in bungalows. Ideal for families. 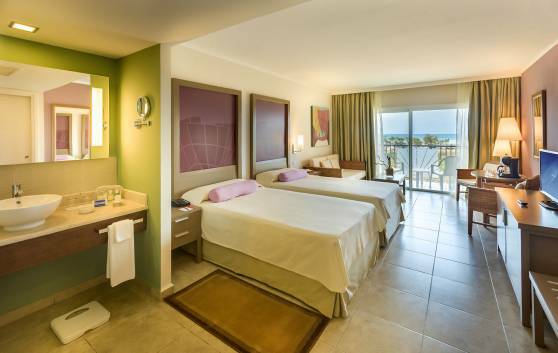 The Classic Pool View rooms, measuring 40 m², boast exclusive views of the pool. Their spaciousness, simplicity and comfort make them ideal for families. 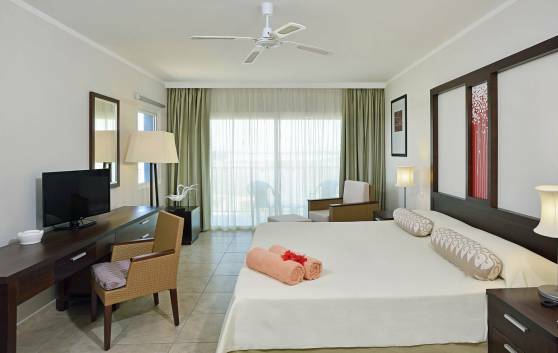 The Classic rooms, with an area of 40 m², boast stunning sea views. They are arranged in bungalows. Ideal for families. 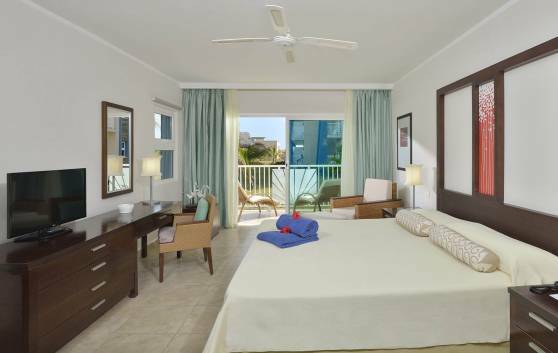 The Grand Suites, with an area of 82 m², boast beautiful views of the gardens or the swimming pool. They are arranged in bungalows. Ideal for couples. 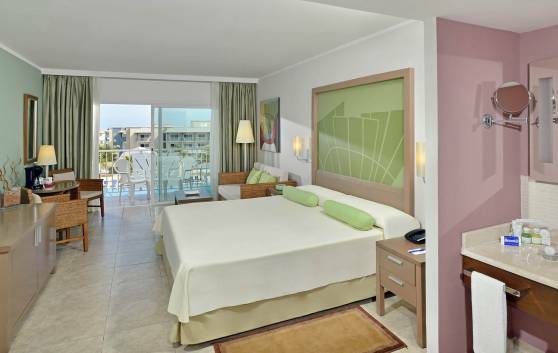 The Grand Suites, with an area of 82 m², boast stunning sea views. They are located right on the beach and on the third floor, in bungalows. Ideal for couples.